SEO & Search Marketing Broaden your SEO with marketing resources for all skill levels: best practices, beginner guides, industry survey results, videos, webinars and more. Local Marketing Improve your online visibility—Learn the fundamentals of local SEO, search ranking factors, location data management, and managing online reviews. Note: The photos above are not intended for page views or shock value as I don’t believe that those methods truly teach you anything in and of themselves. I don’t know the particulars of the above accident, but I do know that the lack of a proper lock out – tag out (control of hazardous energy) policy and procedure contributed to the accident. This is always on OSHA’s Top 10 Violations list on a yearly basis, typically coming in at number 2 each year in the total number of times cited. Please use the training information below to keep your employees safe and involved in this process at your workplace. Remember to AUDIT your procedures more than once per year. LOTO can be a difficult procedure especially when your job or facility has large manufacturing equipment such as a multi-employee operated mile long paper mill versus many single employee operated machines. Hopefully, the Temp Worker Without LOTO Training who lost his life on the first day of his new job and the LOTO Webinar below, as well as the other resources further down the page will help you to put together an appropriate LOTO policy and procedure for your company. Ninety minutes into his first day on the first job of his life, Day Davis was called over to help at Palletizer No. 4 at the Bacardi bottling plant in Jacksonville, Fla. What happened next is an all-too-common story for temp workers working in blue-collar industries. Read the investigation: http://www.propublica.org/article/tem..
Energy sources including electrical, mechanical, hydraulic, pneumatic, chemical, thermal, or other sources in machines and equipment can be hazardous to workers. 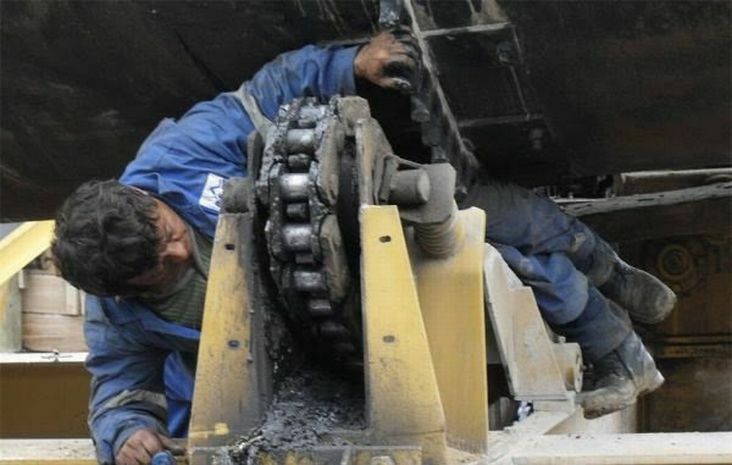 During the servicing and maintenance of machines and equipment, the unexpected startup or release of stored energy can result in serious injury or death to workers. What are the harmful effects of hazardous energy? Workers servicing or maintaining machines or equipment may be seriously injured or killed if hazardous energy is not properly controlled. Injuries resulting from the failure to control hazardous energy during maintenance activities can be serious or fatal! Injuries may include electrocution, burns, crushing, cutting, lacerating, amputating, or fracturing body parts, and others. 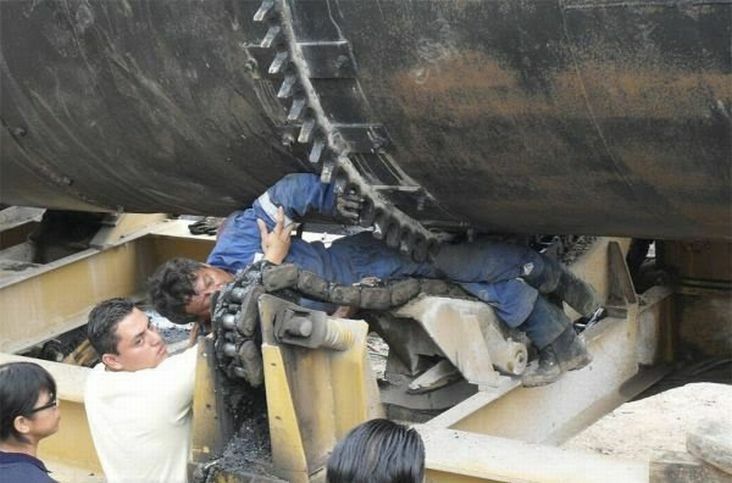 A steam valve is automatically turned on burning workers who are repairing a downstream connection in the piping. 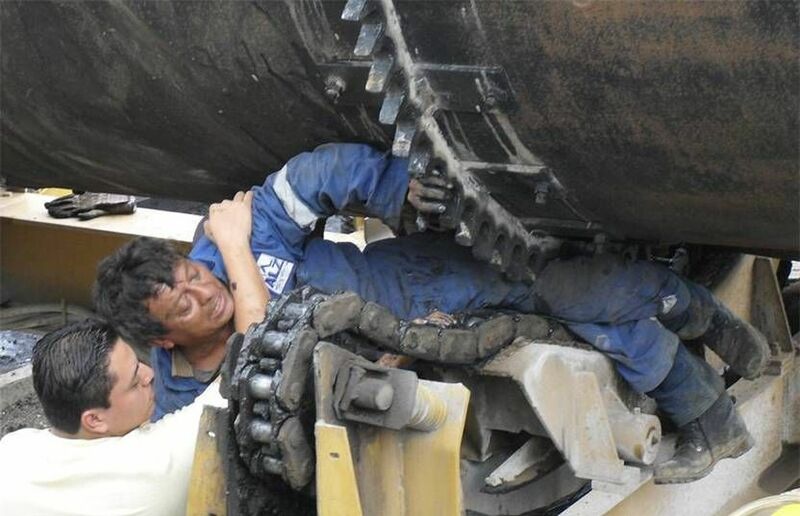 A jammed conveyor system suddenly releases, crushing a worker who is trying to clear the jam. Internal wiring on a piece of factory equipment electrically shorts, shocking worker who is repairing the equipment. Craft workers, electricians, machine operators, and laborers are among the 3 million workers who service equipment routinely and face the greatest risk of injury. Workers injured on the job from exposure to hazardous energy lose an average of 24 workdays for recuperation. What can be done to control hazardous energy? Proper lockout/tagout (LOTO) practices and procedures safeguard workers from the release of hazardous energy. The OSHA standard for The Control of Hazardous Energy (Lockout/Tagout) (29 CFR 1910.147) for general industry, outlines specific action and procedures for addressing and controlling hazardous energy during servicing and maintenance of machines and equipment. Employers are also required to train each worker to ensure that they know, understand, and are able to follow the applicable provisions of the hazardous energy control procedures. Workers must be trained in the purpose and function of the energy control program and have the knowledge and skills required for the safe application, usage and removal of the energy control devices. All employees who work in an area where energy control procedure(s) are utilized need to be instructed in the purpose and use of the energy control procedure(s), especially prohibition against attempting to restart or reenergize machines or other equipment that are locked or tagged out. All employees who are authorized to lockout machines or equipment and perform the service and maintenance operations need to be trained in recognition of applicable hazardous energy sources in the workplace, the type and magnitude of energy found in the workplace, and the means and methods of isolating and/or controlling the energy. Specific procedures and limitations relating to tagout systems where they are allowed. Retraining of all employees to maintain proficiency or introduce new or changed control methods. OSHA’s Lockout/Tagout Fact Sheet* describes the practices and procedures necessary to disable machinery or equipment to prevent the release of hazardous energy. The control of hazardous energy is also addressed in a number of other OSHA standards, including Marine Terminals (1917 Subpart C), Safety and Health Regulations for Longshoring (1918 Subpart G), Safety and Health Regulations for Construction; Electrical (1926 Subpart K), Concrete and Masonry Construction (1926 Subpart Q), Electric Power Transmission and Distribution (1926 Subpart V), and General Industry; Electrical (1910 Subpart S), Special Industries (1910 Subpart R), and Electric Power Generation, Transmission and Distribution (1910.269). Lockout-Tagout Interactive Training Program. OSHA eTool. Interactive tool to provide the user with an in-depth understanding of the LOTO standard, with three components: Tutorial, Hot Topics, and Case Studies. Construction. OSHA eTool. Helps workers identify and control the hazards, including electrical hazards, that commonly cause the most serious construction injuries. Electrical Incidents. Landing page for Electrical Incidents subpage of the Construction eTool, which identifies electrical hazards and recommends preventive measures. Electric Power Generation, Transmission, and Distribution. OSHA eTool, (January, 2010). Assists workers in identifying and controlling workplace hazards. Lockout/Tagout*. OSHA Fact Sheet, (2002). Also available in Spanish*. Control of Hazardous Energy – Lockout/Tagout*. OSHA Publication 3120, (Revised 2002). This booklet presents OSHA’s general requirements for controlling hazardous energy during service or maintenance of machines or equipment. It is not intended to replace or to supplement OSHA standards regarding the control of hazardous energy. Small Business Handbook (PDF). OSHA Publication 2209, (2005). Handbook is provided to owners, proprietors and managers of small businesses to assure the safety and health of workers. Workplace Solutions: Using Lockout and Tagout Procedures to Prevent Injury and Death during Machine Maintenance*. U.S. Department of Health and Human Services (DHHS), National Institute for Occupational Safety and Health (NIOSH) Publication No. 2011-156, (April 2011). Document/tip sheet highlighting best practices for employers, workers, and manufacturers to follow during machine maintenance. Control of Hazardous Energy Sources – Self-Inspection Checklist – Schools. U.S. Department of Health and Human Services (DHHS), National Institute for Occupational Safety and Health (NIOSH) Publication No. 2004-101, (October 2003). This self-inspection checklist covers regulations issued by OSHA as a general industry standard under 29 CFR 1910.147. Preventing Worker Deaths from Uncontrolled Release of Electrical, Mechanical, and Other Types of Hazardous Energy. U.S. Department of Health and Human Services (DHHS), National Institute for Occupational Safety and Health (NIOSH) Publication No. 99-110, (August 1999). NIOSH Alert that provides assistance in preventing the death or injury of workers exposed to the unexpected or uncontrolled release of hazardous energy. Guidelines for Controlling Hazardous Energy During Maintenance and Servicing [Lockout/Tagout]. U.S. Department of Health and Human Services (DHHS), National Institute for Occupational Safety and Health (NIOSH) Publication No. 83-125, (September 1983). NIOSH Guidelines that outline methods for protecting workers from injuries caused by the release of hazardous energy. Lockout/Tagout. National Ag Safety Database (NASD) Research Publications-11, (April 2002). Preventing Cuts and Amputations from Food Slicers and Meat Grinders*. OSHA Fact Sheet (Publication 3794), (May 2015). Example elements of a lockout/tagout (LOTO) program are described in the OSHA standard for the control of hazardous energy (29 CFR 1910.147), along with these additional references. 29 CFR 1910.147 Appendix A, Typical minimal lockout procedures. OSHA Standard. Provides assistance to employers in developing their procedures so they meet the requirements of 29 CFR 1910.147. Guidelines for Controlling Hazardous Energy During Maintenance and Servicing [Lockout/Tagout]. U.S. Department of Health and Human Services (DHHS), National Institute for Occupational Safety and Health (NIOSH) Publication 83-125, (September 1983). NIOSH Guidelines that outline methods for protecting workers from injuries caused by the release of hazardous energy. Case Studies. Presents a series of case studies for review, followed by related questions. Each of the case studies is based on descriptions of LOTO inspections derived from compliance interpretations, court decisions, Review Commission decisions, and inspection files. Sample Written Program for Control of Hazardous Energy (Lockout/Tagout)*. Texas Department of Insurance. Sample lockout/tagout program provided as a guide to assist employers and employees in complying with the requirements of 29 CFR 1910.147, as well as to provide other helpful information. It is not intended to supersede the requirements of the standard. Control of Hazardous Energy (Lockout/Tagout) — 29 CFR 1910.147 – Sample Program*. Maine Department of Labor. Sample hazardous energy control program provided by SafetyWorks! as a guide to help employers implement OSHA’s Control of Hazardous Energy (Lockout/Tagout) standard (29 CFR 1910.147) in their workplace. 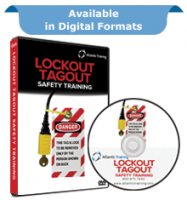 Lockout-Tagout Interactive Training Program. OSHA eTool. The interactive tool to provide the user with an in-depth understanding of the LOTO standard, with three components: Tutorial, Hot Topics, and Case Studies. Small Business Handbook (PDF). OSHA Publication 2209, (2005). Handbook is provided to owners, proprietors, and managers of small businesses to assure the safety and health of workers. Lockout/Tagout. National Ag Safety Database (NASD) Research Publications-11. Brief publication providing an overview of lockout/tagout, California laws and regulations, and training materials. Fatality and Catastrophe Investigation Summaries. OSHA. Enables the user to search the text of Accident Investigation Summaries (OSHA-170 form) for words that may be contained in the text of the abstract or accident description. Z244 Committee Information. American Society of Safety Engineers (ASSE). Safety Alert: Control of Hazardous Energy – Lockout/Tagout (LO/TO) Procedures in Shipyard Employment*. OSHA and Shipbuilders Council of America, National Shipbuilding Research Program, and American Shipbuilding Association Alliances (now the Shipbuilding Group Alliance) and the American Industrial Hygiene Association and American Society of Safety Engineers Alliances, (February 2009). Safety Alert Fact Sheet that provides information on how to protect employees from hazardous energy. Also available in Spanish*. Safety Alert: Electrocution and Shock Hazards in Shipyard Employment*. OSHA and Shipbuilders Council of America, National Shipbuilding Research Program, and American Shipbuilding Association Alliances (now the Shipbuilding Group Alliance) and the American Industrial Hygiene Association and American Society of Safety Engineers Alliances, (February 2008). Safety Alert Fact Sheet that provides information on how to protect employees from electrocution and shock hazards. Also available in Spanish*. This post was written by Jack Benton at EHSSafetyNewsAmerica and he has graciously shared it with us! Note: These photos are the property of Jack Benton, and may not be used without written consent. Copyright © 2018 Atlantic Training. All Rights Reserved.